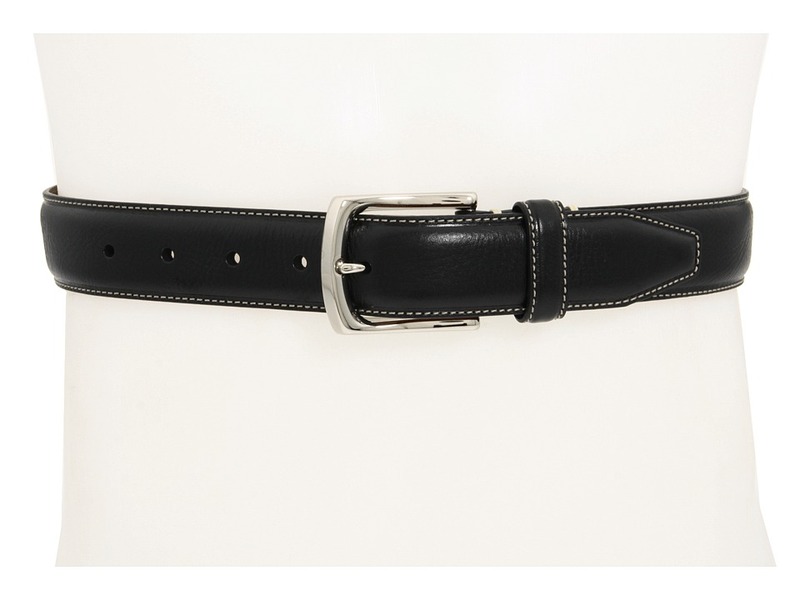 Show the world that you are a well-dressed man and wear the ~Topstitched Belt~ from Johnston Murphy. Crafted in burnished Italian leather with contrast stitching for an elegant European finish. Polished nickel-finished brass buckle ensures a secure fit in a stylish manner. The manufacturer recommends ordering one size up from your pant waist size. Measurements: Width: 1 1 4 in First Hole Length: 38 1 4 in Last Hole Length: 42 1 4 in Product measurements were taken using size 42. Please note that measurements may vary by size.